I was recently attending a blogging event and we all started talking about our editorial calendars and our to do lists and it turns out we all still use paper planners. There is something just so lovely about being organized- especially in a pretty way that you can touch! 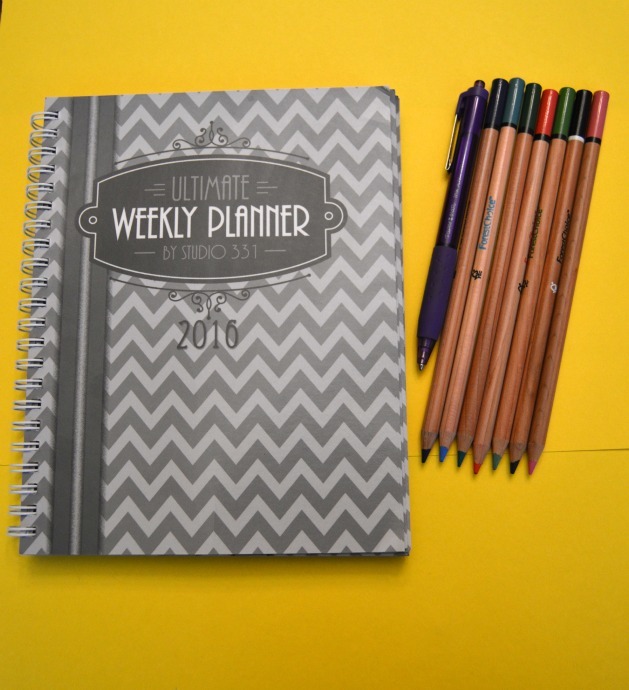 I just received The Ultimate Weekly Planner and I am excited to start filling it out and getting organized for 2016! This post is brought to you by Ulitmate Weekly Planner By Studio 331 but all opinions expressed are my own. I am so excited about my Ultimate Weekly Planner 2016 and even more excited because I can start using it right away! 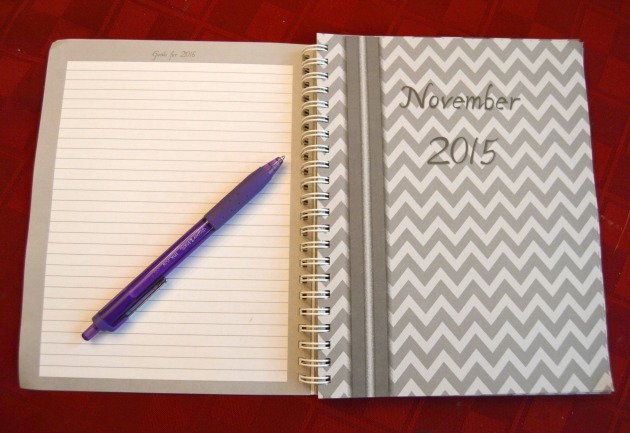 It includes November 2015 and December 2015 to help you make a smooth transition to the Ultimate Weekly Planner. I love that feature! This planner is created by a stay at home mom for stay at home and work at home moms- no wonder she makes it so easy to get organized. She knows just what we want! I think having a goals page is a pretty cool feature. I am actually new to goal planning. I was inspired to start creating goals when reading a book by Zig Ziglar and he said something like if you don’t set goals, you will reach them every time. I realized I didn’t want to accomplish nothing. There are lots of things I want to accomplish so I have to start setting goals- dreaming with a deadline and taking the steps to make sure those dreams come true. There is a full month view at the beginning of each month for holidays and birthdays. I like having everything available at a glance so I know what is going on quickly when people want me to add to my calendar. I also like that it has the holidays marked for me. I also like that the weekly planner has plenty of room for me to mark down what is going on each day in more detail and make any notes or write any phone numbers I need to have available. This is a really cool feature of the planner- a daily menu planner and to do list. You can organize your meals for the week and organize your shopping right there too. You can also make your to do list for the week and update it or move items down as you may need. I love a good to do list! I am making lists all the times and it seems to run in the family. My daughter once made a to do list with games she wanted to play for on her next playdate! She couldn’t write yet but she drew them out and made check boxes. I dig that this planner is created by a stay at home mom and I also dig that it will help serve as a record that I can refer back to you year round and a place to keep my goals. Do you need to get more organized? Do you practice goal setting? Have you tried menu planning? That looks like an awesome planner. I LOVE my planner. I would be lost with out it. I LOVE planners and finding new ones to use. This ultimate weekly planner would be great for me. Anything to keep me more organized, I am all for! That looks almost exactly like the ones my daughter uses for school. They start teaching them early, using planners in the 3rd grade! Great post. I use my smartphone now for all my planning, but your paper weekly planner is tempting me to go back to the way I did it before. What a nice looking planner. I love that it’s not to big or too small. That looks like a great planner! I love that it has weekly and monthly sections! I need to get me one. This is one easy way to get organized! I need to give it a try!